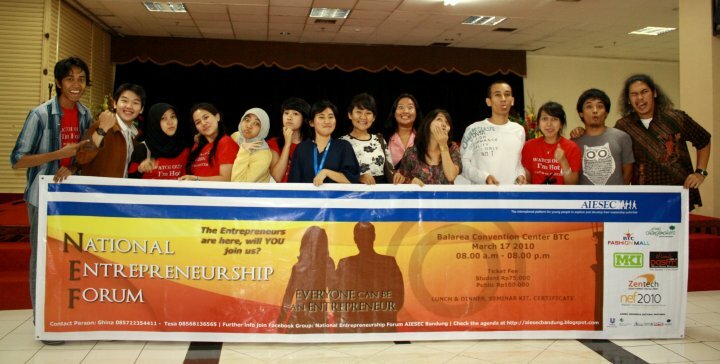 Last month (March 17th 2010) we had an annual event National Entrepreneurship Forum LC Bandung 2010. 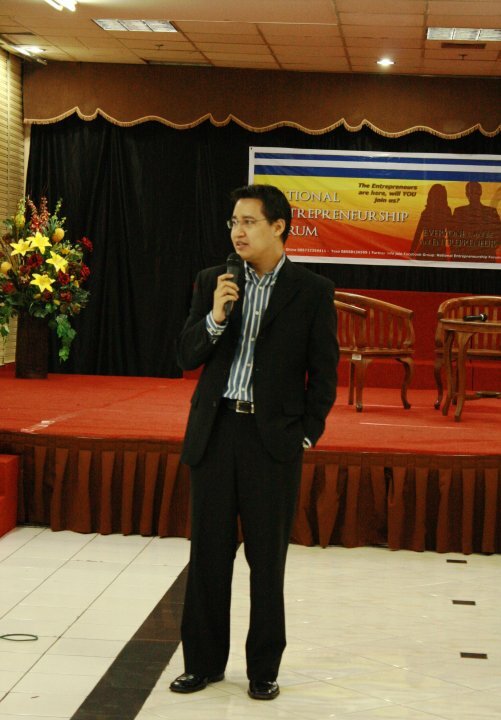 This event was hold at Balarea Convention Center BTC Mall floor P1. At 9 AM event was opened by representative of AIESEC Indonesia Mia Dwi Agustina and from AIAO (Indonesia AIESEC Alumni Organization) Ardantya Syahreza. They were talking about NEF Introduction. The main event begins with Avi Dwipayana (Founder & CEO Trimegah Securities) he was talking about why we should be an entrepreneur the lack of entrepreneurs in Indonesia. “15% concept, 85% is about implementation. A lot of people know, but it could never happen. 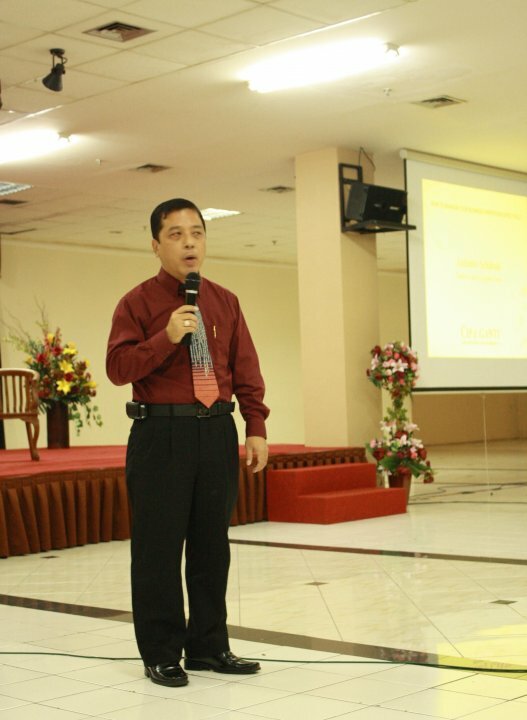 It has to be a combination of Knowledge and Performance”, Mr. Avi said. 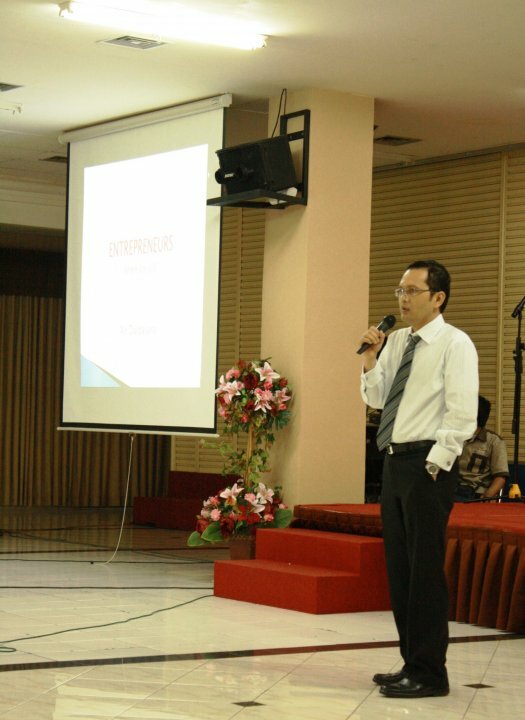 Next session was with Erlan Primansyah (CEO of PT. Digits Media, a Strategic Consultant about Innovation) he said He added, an entrepreneur does not always run smoothly they will be faced with many obstacles such as their self, family, enemies, competitors, vendors, financial institutions, the State, employees and others. 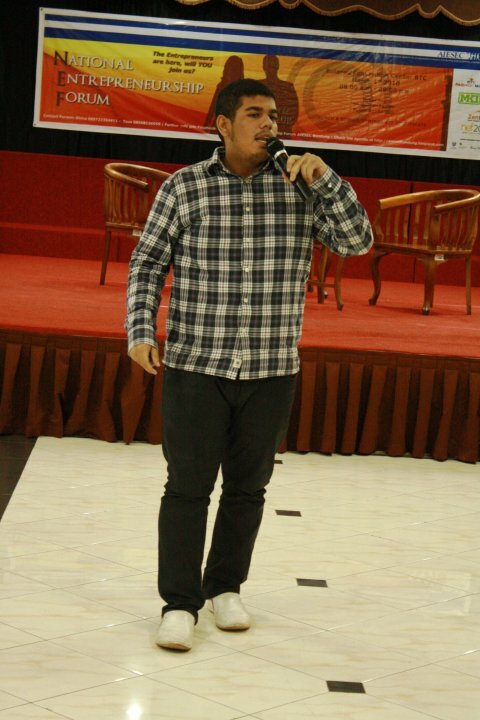 Rifky Amir Balfas one of the Sushi Boon owner, came up and explained about how to come upwith business idea,how to create such a unique idea and become a famous sushi brand. Next session with Peter Firmansyah (Owner Peter Says Denim Company) talked about how a young boy who is usually extravagant and always wanted a luxury lifestyle, but he can create the idea to make a business in Clothes Company (especially jeans). As you know Peter expensive than the international brand jeans Levi’s. After the session is completed, participants are given a break for 45 minutes and continued with Galih Sedayu (Director of Air Photography Communications). He said when we love and enjoying doing something from our hobbies it will be easier for you to run your hobby into a business. 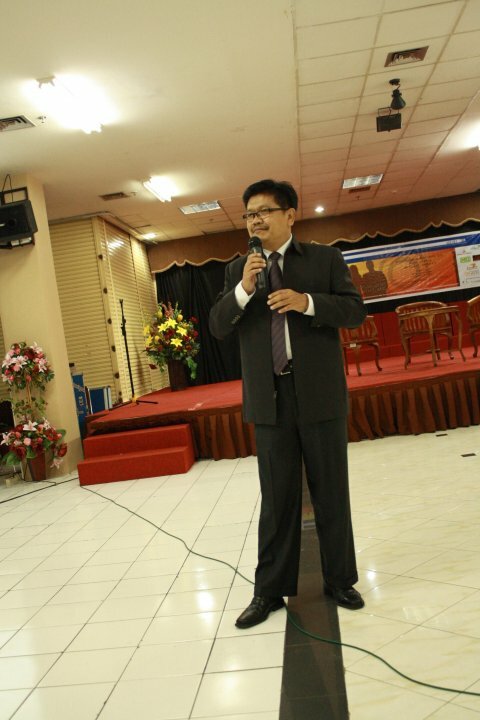 Next speaker was from the banking practitioners Memet Slamet, he explained about how to obtain loans from banks. Who does not know about Cipaganti travel? Everybody knows about this travel. But do you know who the man behind this Cipaganti travel? 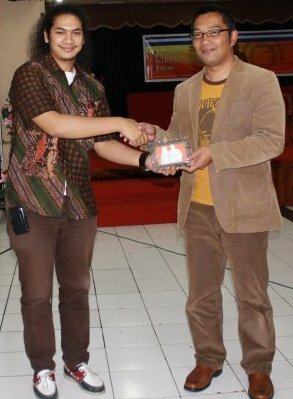 He is Andianto Setiabudi! He explained about the beginning of his company until now. 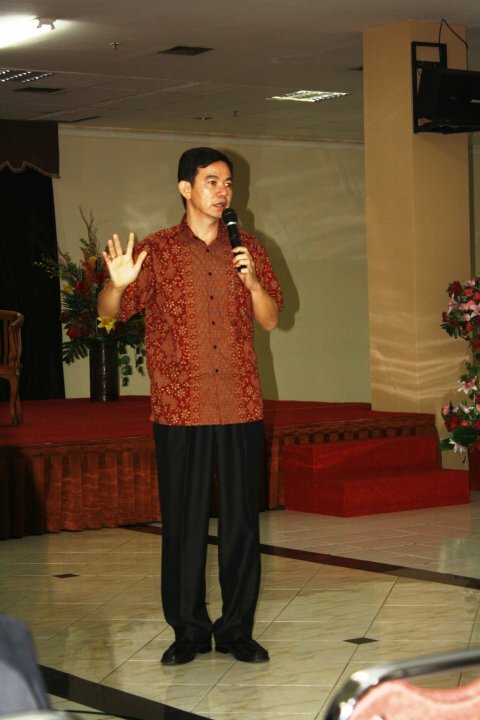 Mr. Chandra Tambayong (owner of The Majesty Hotel, Solo Grand Mall, BTC Mall, Jatinangor Town Square, Grand Setiabudi, Galeri Ciumbuleuit Hotel, Solo Paragon and Pinewood Apartment) he explained a lot how we can expand our business, our behavior after becoming successful person. He said that network is important to our business. Although you are busy every day never forget to God, family, and healthiness. These 3 points can be a big influence to your live in the future. After hearing many experiences from successful people, it would be incomplete if we didn’t discuss how to make a good business plan. 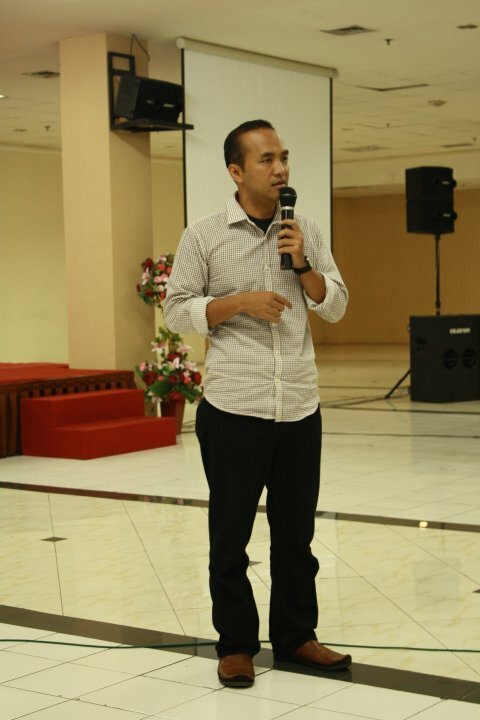 Ardanstya Syahreza (CEO of PT Marketing Communication Indonesia) was discussing how to develop your business plan and make it to your real business. Break for 40 minutes was really enough to all participants to took dinner, pray n relax. So they could continue the seminar. Next session was with a high school student who became Young social Change makers ASHOKA, she was talking about social entrepreneurship based on environment that she’s doing now with her groups to take care of nature and the world. The last speaker was Ridwan Kamil he is a young international design entrepreneur of the year2006 British Council and the owner of PT Urbane Bandung. 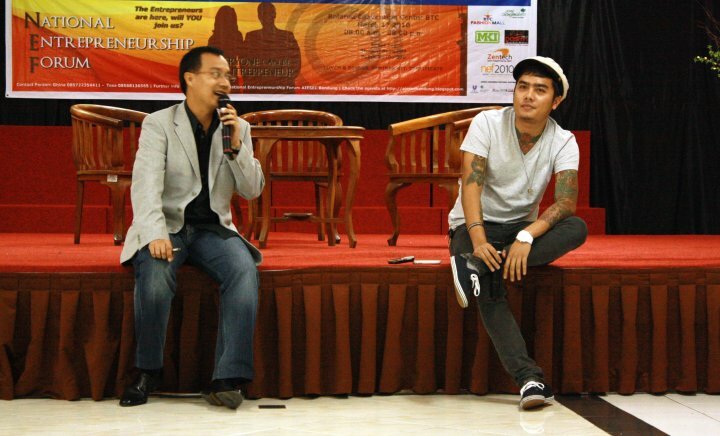 He explained how to managing creative business and the other side of Bandung art. The event then closed with giving placate to the speakers, and on 8 pm sharp the event finished.We are waiting for your presence at our next event! Thank you for your participation!